Slack is reportedly following Spotify in going public through a direct listing. Here’s how a direct listing works. 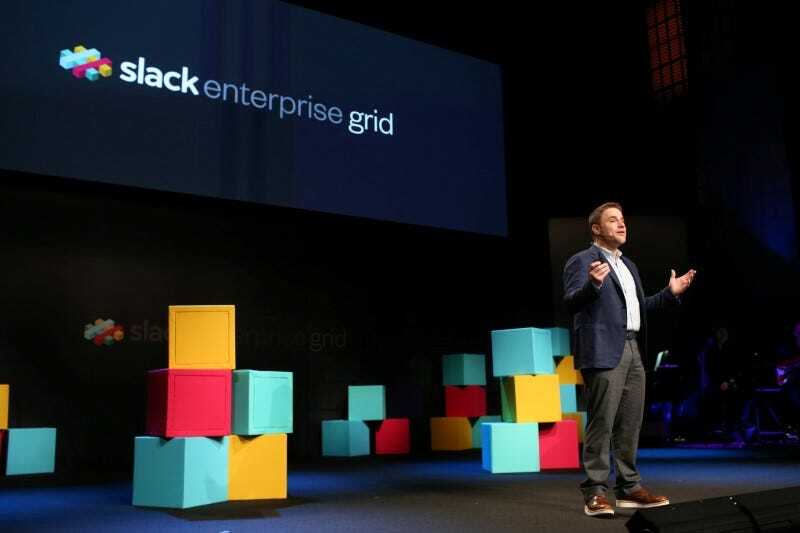 Slack is reportedly planning to use a rare direct listing to go public, a move that would make it the second big technology company after Spotify to bypass a traditional initial public offering. In a direct listing, a company forgoes the usual underwriting process, which involves lining up investors ahead of time and selling shares at a set price, and instead lets the open market play a greater role in setting the price. Slack, like Spotify, seems well positioned for a direct listing because of its combination of name-brand recognition and massive private-market valuation. But the direct-listing route remains risky. Slack is reportedly planning to use a rare direct listing when it enters the public market in the second quarter, following in the footsteps of Spotify, which used the same technique last year. But what exactly is a direct listing, and why is Slack planning to do one? To fully comprehend what Slack’s plan means to investors, it’s important to understand the mechanics of a direct listing, how it differs from a normal initial public offering, and, perhaps most important, the rationale for doing one. What is a direct listing? In a direct listing, a company cuts out the intermediary. That means forgoing the enlisting of underwriters who help IPO candidates market the stock to institutional investors and sell shares at a set price. Instead, the direct listing lets the open market play a greater role in setting the initial price. The obvious difference between a normal IPO and a direct listing can be seen on the company’s first day of trading. For companies using intermediary agencies to go public, the stock arrives to market with a price that has been established through the maneuverings of underwriters. Since underwriters lined up investors ahead of time to set the price, usually only their clients can buy a stock at its IPO price. Other retail investors can only place a market order, and they could pay much more if the stock begins trading above the listing price, as often happens with IPOs. For companies going through a direct listing, there is no starting point for trading. That most likely means at least one day of highly volatile movements as investors settle on a price. In other words, in a direct listing there’s no set price, no set level of supply of shares, and no lockup on existing investors. Simply put, a traditional IPO is like having a huge trade show with everything prepared, and a direct listing is like opening a pop-up shop and hoping people will just stop by. Why is Slack planning to do a direct listing? Without using intermediary underwriters, the company can avoid paying hefty fees. Moreover, it can give shares more liquidity by avoiding lockups that prevent insiders from selling shares for a set period. Spotify is the only large company that has used a direct listing, debuting last year on the New York Stock Exchange. Its listing was widely viewed as a success, and that may have emboldened Slack to try one too. An already massive private-market valuation. Slack’s popular app for group communication reached more than 8 million daily active users and 3 million paid users last year. The company has raised more than $1 billion in venture-capital money – including a $250 million mega-round led by SoftBank in September 2017. This past August, the company raised $427 million in a funding round led by Dragoneer Investment Group and General Atlantic, valuing the company at $7.1 billion. But not every company is positioned to effectively use a direct listing. Unless the company is publicly visible and highly valued, it would experience major issues building demand without a banking contingency marketing its shares behind the scenes. After all, companies usually count on underwriters to generate sufficient interest from investors. Moreover, at the time of listing, the deal hasn’t been shopped around to large institutions that have historically been known to buy big chunks of shares and hold on to them for far longer than the average day trader. This leaves the stock more exposed to volatility and may even dissuade those institutions from buying the shares and providing a stabilizing force.